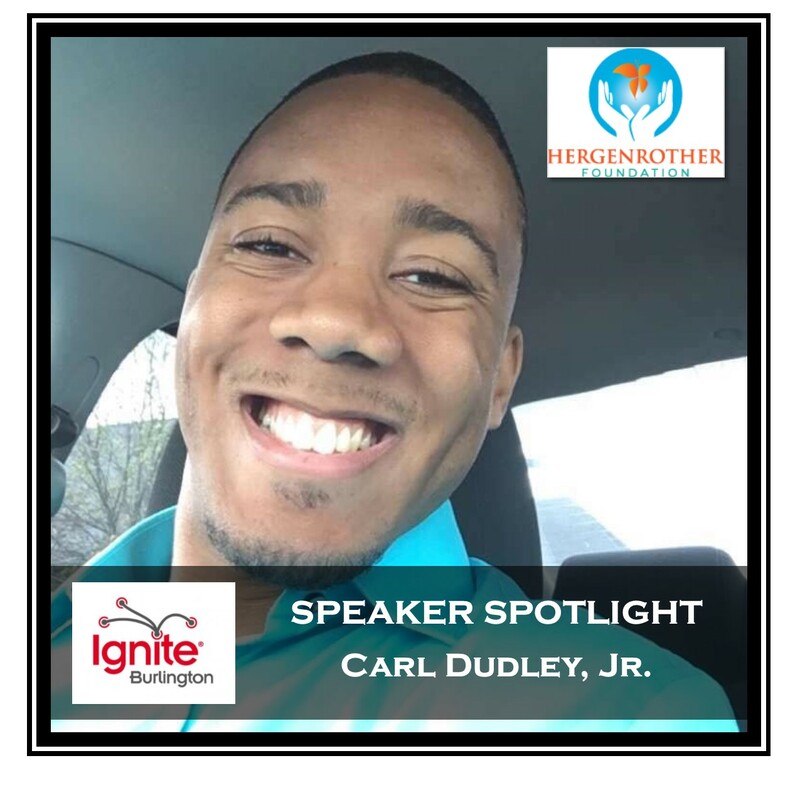 Ignite Speaker Spotlight | CARL DUDLEY, JR.
Carl Dudley, Jr. is from Plainfield, New Jersey, where he lived until 2004. In the summer of 2004, he moved to Newport News, Virginia, with his Aunt and Uncle after he had spent the last 3 years of his life homeless. Carl attended Norwich University, where he majored in construction management and was a member of the Corps of Cadets. Carl left Norwich after just one year and joined the Air National Guard as a cardiopulmonary laboratory technologist and completed his Associate’s Degree in Cardiopulmonary Laboratory Technology in 2015 from the Community College of the Air Force. Carl is now pursuing a Bachelor’s Degree in Philosophy with a concentration in Ethics from American Military University. In 2014, Carl started a volunteer organization called Airmen Breaking Bread at the Vermont Air National Guard, stemming from the Justice Mentoring Program founded at Wright-Patterson Air Force Base in Fairborn, Ohio. A year later he met the founder of Flex Your Face, Ryan Esbjerg, through his brother, Jake, whom he went to college with at Norwich. Carl quickly bought into his mission to spread positivity and has been a brand ambassador for Flex Your Face for the last year. This entry was posted in Uncategorized on September 10, 2016 by Hallie.